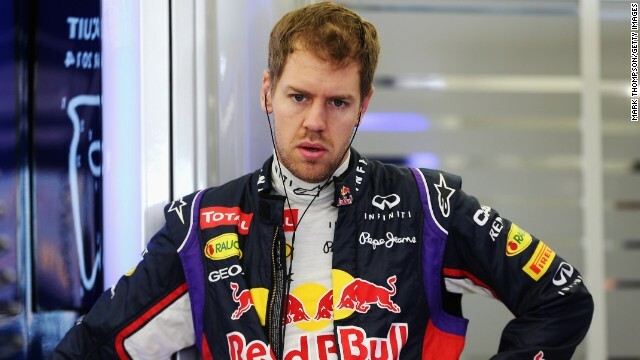 F1: Is Sebastian Vettel exchanging his Red Bull for a Prancing Horse? We know he's leaving Red Bull, but where will Sebastian Vettel be driving next season? Sebastian Vettel says his future plans will be revealed "very soon"
(CNN) -- Formula One world champion Sebastian Vettel looks set to join Ferrari after announcing his shock exit from Red Bull on Saturday. The German, who has spent the past six seasons with Red Bull, is being hotly tipped to join the Italian racing marque from the start of 2015. Vettel broke the news of his departure in Suzuka ahead of Sunday's Japanese Grand Prix, but has so far remained tight-lipped on his plans. 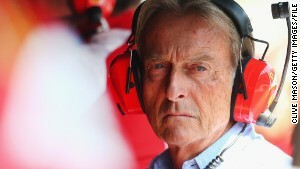 But F1 racing legend Niki Lauda believes all roads now point to Maranello for the German. 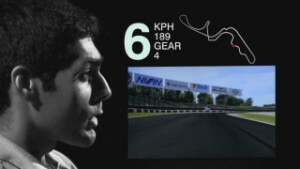 "My logic tells me that Sebastian will now go to Ferrari," Lauda said, AFP reported. "Why? Because Fernando Alonso has fallen out of favor there. 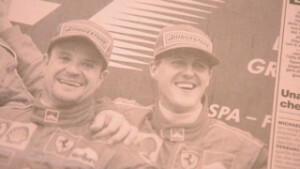 There is new management (at Ferrari), they need some new motivation in the team and, of course, Sebastian is the world champion, German and in the same style as (Michael) Schumacher," added Lauda, who won two of his three F1 world titles with Ferrari. Electric power over petrol and pistons? Alonso wouldn't be drawn on the issue when interviewed by journalists following Saturday's qualifying session saying his priority was to help Ferrari. Last month, he said there was "no problem" with him seeing out the remaining two years of his contract with the Italian team. But Lauda thinks otherwise and says that the Prancing Horse would be well served by "some German thoroughness" that Vettel could bring. Ferrari has yet to comment on the status of either driver while Vettel himself says an announcement on his future can be expected "very soon." Vettel's news shocked the F1 paddock and will bring to an end a long relationship with the UK-based team, first as a junior racer then Toro Rosso before moving to Red Bull in 2009. In his second season Vettel clinched the first of his four world titles but the 27-year-old has struggled this year and currently lies fifth in the standings and trailing his new teammate Daniel Ricciardo. The Australian is third in the drivers championship, taking the fight to the Mercedes duo of Lewis Hamilton and Nico Rosberg who have dominated this year. It was with this backdrop that Vettel made his move. "After 15 very enjoyable and successful years with Red Bull, I have decided to leave Red Bull at the end of this year," Vettel said in a statement. "Of course it is a big step and hard to make such a decision. The chance to drive in F1, the first win with Scuderia Toro Rosso, the four Championship wins with Infiniti Red Bull Racing and many other great memories have bound Red Bull and myself together into a kind of family. No one can take these times away from us." No sooner had Vettel announced his impending departure was Red Bull filling the empty cockpit with Daniil Kvyat graduating from the Toro Rosso team after just a single season in F1. "It's been our philosophy for several years now to back youth and grow our own talent and that's what we did with Sebastian Vettel," said Red Bull team principal Christian Horner. "Daniil's an exciting talent and prospect and it's an exciting new dawn for Infiniti Red Bull Racing." Horner noted that it had been "one hell of a journey" with Vettel referencing both his and the team's achievements which amount to four constructors' titles and 38 grand prix victories. "He joined us as a young man and now he's matured and he's decided it's time to move on, it's his decision, we're not going to hold him back and it's an exciting time for us," Horner added. "I think he reached a stage in his career where he fancied a new challenge, so that's his prerogative and like in any relationship, if someone's heart is not in it, then it's time to move on." 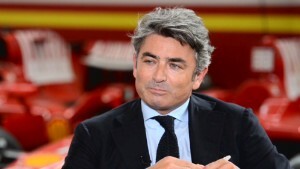 If Vettel does replace Alonso at Ferrari then the Spaniard could be on his way back to McLaren. Alonso spent one season with the UK-based team in 2007 before moving on Renault then to Ferrari in 2010. Should he return then either Jenson Button or Danish rookie Kevin Magnussen would have to make way with the smart money on the 34-year-old Briton who is out of contract come the end of the season. Meanwhile out on the track, Nico Rosberg pipped teammate Lewis Hamilton to pole in qualifying for Sunday's race at Suzuka. Williams driver Valtteri Bottas was third quickest with his teammate Felipe Massa directly behind him in fourth. Vettel scraped into the top ten and will start in ninth place while teammate Ricciardo is three places ahead in sixth with Fernando Alonso steering his Ferrari to fifth. 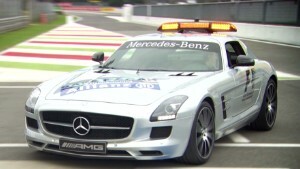 Hamilton currently leads Rosberg by three points in the drivers' championship with five races remaining.